For the past twenty years Herlihy Insurance Group has been sharing its good works and financial support with many members and groups in our Worcester County community. We named ourselves “Team Herlihy” and we are proud to be making a difference in the lives of other community members. You will find Team Herlihy volunteering and supporting the Boys and Girls Club of Worcester, Habitat for Humanity, Be Like Brit, St Johns Food for the Poor, Veteran’s Inc, Girl’s Inc, Kids Café, Andy’s Attic, Alzheimer’s Association, Dana Farber and Working for Worcester. To follow Team Herlihy, visit our Facebook page. For more information or to join our efforts, contact us. 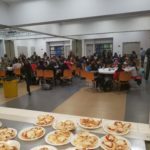 Team Herlihy is proud to say that this holiday season we participated in the Be Healthy: Kids Cafe helping raise $1500 and serving over 300 healthy meals to families in need at the Boys & Girls Club of Worcester! Veterans Clothing Drive for Veterans Inc. 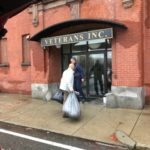 Team Herlihy would like to thank everybody who participated in this years Winter Clothing Drive to benefit Veterans Inc. of Worcester, Massachusetts! 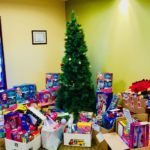 Team Herlihy celebrates the Holidays with its annual Holiday Toy Drive for the benefit of the Boys and Girls Club of Worcester. Drop off your donations at our office Monday through Friday between 8AM – 5PM. Join Team Herlihy in for Working for Worcester April 13, 2019! Project Background: NCC Secondary is a program for Students with Limited and/or Interrupted Education (SLIFE). The school usually holds 100-150 international students. NCC secondary would like help with painting their main hallway, basement, and other areas inside their school. 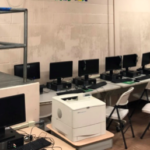 They wanted help with painting the inside and there is a large asphalt area in the back of the school that could use painting as well. Join us in Operation Prom Time! We are gathering Prom attire and Tux Rental Donations to benefit the Boys and Girls Club of Worcester! 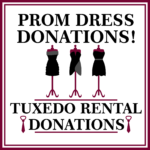 Drop off gently used prom dresses for the ladies or monetary donations for tux rental for the guys. We’ll be collecting donations at our office during normal business hours. Any questions on Operation Prom Time? Email us at cherlihy@herlihygroup.com or call us at 508-756-5159. Thank you for your generosity!